Rubbish! | Spaceship! Spaceship! Spaceship! Remember how it turned out we’d never covered a SHIP? Well, they’re like buses because you wait for ages and then along comes this beauty by LegOH! It achieves something few SHIPs achieve – it’s wonderfully playable. 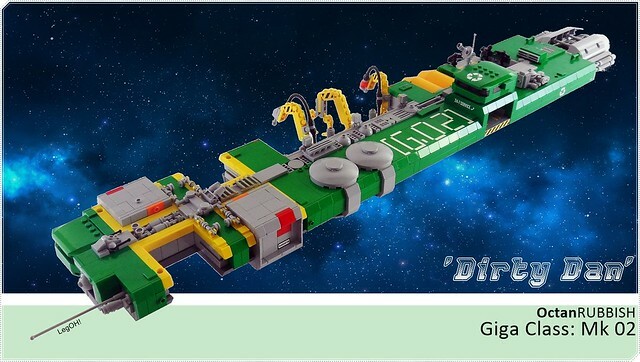 The Dirty Dan is an Octan Rubbish ship, and it looks like it’s designed to tear apart other ships and wreckage with its industrial claw arms and store the proceeds in the cool cargo pods on the front for recycling. The model has a great colour scheme and some lovely greebling; but I really love the functionality of the the model – it feels like you could while away an afternoon tearing apart a little microscale space wreck and carting the bits off for sorting. 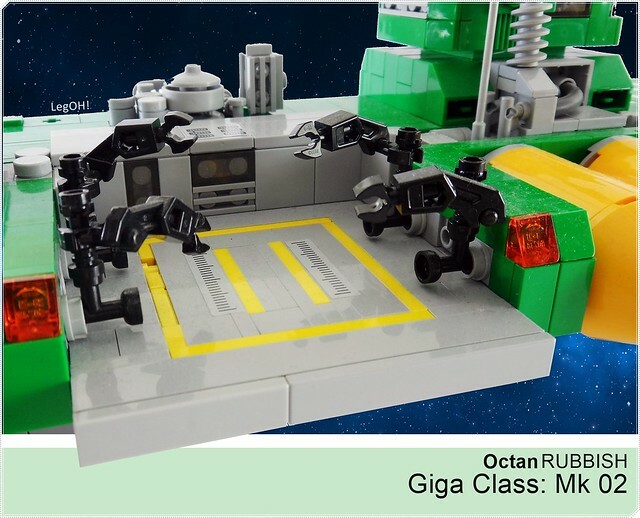 This entry was tagged microscale, MOC, SHIP. Bookmark the permalink.